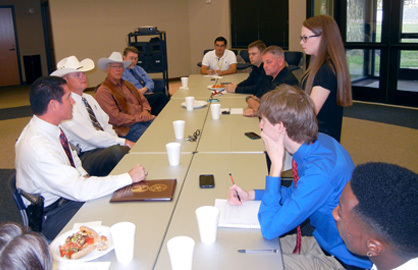 The Texas Ranger Hall of Fame and Museum offers two separate venues for your events, programs or meetings. The John Knox Memorial Center is a premium 6,000 sq. ft. banquet facility at a competitive price. It is located just off Interstate-35 in a wooded park with beautiful views of Baylor’s McLane Stadium and the Brazos River. It is a perfect setting for parties and business conferences, wedding receptions, monthly meetings, fund raisers, training sessions and dances. Knox Center is climate controlled, has a public address/sound system, clean restrooms, a staging kitchen for caterers and provisions for a band, bars and dancing. Round and rectangular tables and audio-visual equipment are available for rental. Parking is available on site. Knox Center is situated on Waco’s Riverwalk less than a mile from the Waco Convention Center, major hotels and restaurants. It accommodates up to 350 for dinner-style seating or dances and 550 for theater-style seating. 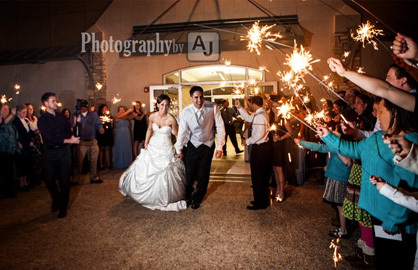 The adjoining Texas Ranger Hall of Fame and Museum can be opened by special arrangement for evening events. For more information on availability, rental rates and sample setups, click here. 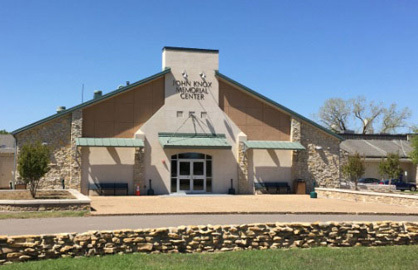 The Texas Ranger Education Center is a cooperative project of the City of Waco, the Texas Department of Public Safety and the Texas Rangers. It provides area non-profit organizations and governmental entities with space for programs related to safety, well-being, crime prevention, and good citizenship. It is also available as training space for volunteers and persons delivering such programs. Qualifying programs may include victim support group meetings, crime prevention courses or Drug Abuse Resistance Education programs on kids’ safety and staying drug-free. 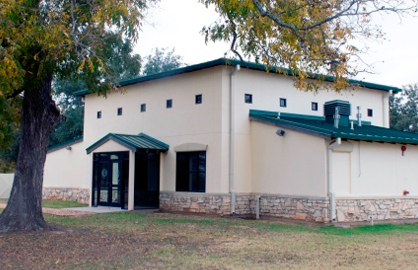 Support from the Waco Foundation has provided the Education Center with a podium and speaker system, digital projectors, and wireless internet capabilities. The center can accommodate 65 persons in classroom layout (with tables), or 100 persons with a theater floor plan (chairs only). Tables and chairs are provided by the Texas Ranger Hall of Fame and Museum.